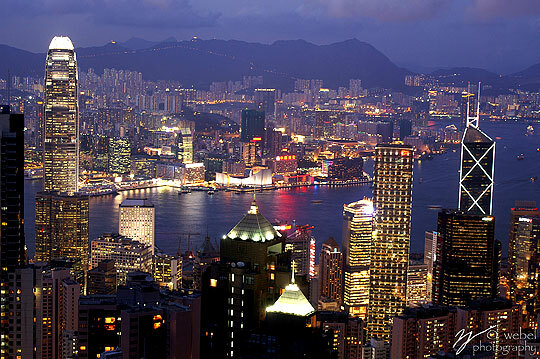 Industry analysts estimate the potential energy efficiency investment opportunity in the hundreds of billions of dollars. However, institutional investors are largely unable to finance energy efficiency projects at the scale necessary to address climate change or to meet their own internal investment criteria. The BICEP Climate Declaration continues to gain speed with the recent announcement that more than 100 ski areas in the U.S. have joined the call for federal policymakers to take action on climate change. 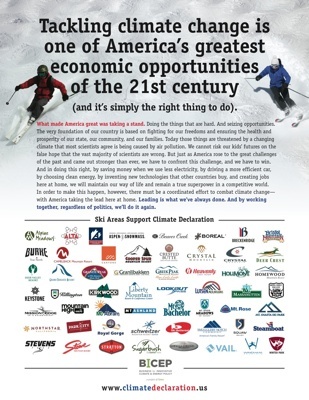 The ski areas join big businesses including General Motors Co., Nike and Levi Strauss & Co., as well as founding signatory ski company, Aspen Snowmass, in asserting that a bold response to the climate challenge is “one of America’s greatest economic opportunities of the 21st century.” View the list of ski industry signatories. “It is obvious that the success of ski business operations depends greatly on climate, which is why we are so invested in programs that keep our slopes sustainable. But our actions alone won’t be enough without strong policies,” said Brent Giles, Chief Sustainability Officer for Powdr Corp of Utah. Ski areas are a significant contributor to the U.S. economy, employing approximately 160,000 people and generating approximately $12.2 billion in annual revenue. The National Ski Areas Association (NSAA) calculates that visitors to U.S. ski areas spent $5.8 billion at those resorts over the course of the 2011/2012 season. Also adding to the signatory count are 22 American investment firms with approximately $240 billion in assets under management, led by the California State Teachers’ Retirement System (CalSTRS) and the Oregon State Treasurer’s office. Investors have been an important force in supporting policy changes related to clean energy and efficiency and bringing economic solutions to scale. 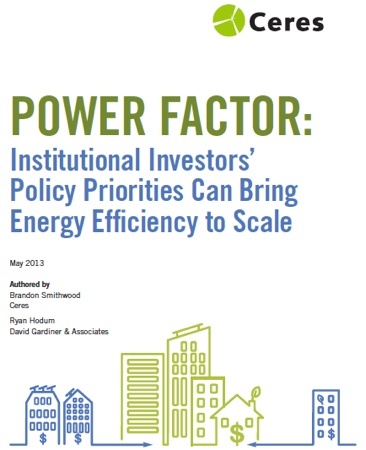 A new report from Ceres and INCR, Power Factor: Institutional Investors’ Policy Priorities Can Bring Energy Efficiency to Scale , estimates energy efficiency to be a multi-hundred-billion dollar investment opportunity in the United States. But it also finds that better policies are required to unlock broad-based financing from institutional investors. The report gathered input from nearly 30 institutional investors and other experts from the energy, policy and financial sectors. 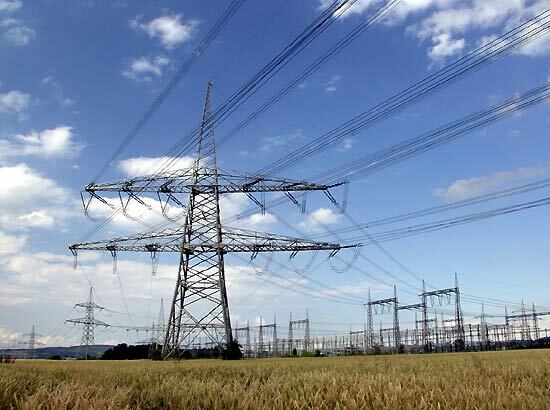 It found three areas-utility regulation, demand-generating policies and innovative financing policies-where policy advancements could help make energy efficiency financing an attractive investment opportunity. U.S. Air Emissions on the Decline? The latest data on the top 100 power producers show significant declines in SO2, NOx and moderate CO2 reductions in 2011 even as overall electricity generation increased, largely due to increased use of natural gas and growing reliance on renewable energy. The Ceres’ Benchmarking Air Emissions report is the ninth in a series highlighting environmental performance and progress by the nation’s electric power sector. Based on the latest available data, the report shows that Wyoming, Kentucky, West Virginia, Indiana, and North Dakota had the highest CO2 emissions per megawatt-hour of power produced, while Idaho, Vermont, Washington, Oregon, and Maine had the lowest. Amid growing concern that climate change is already having substantial global economic impacts that are certain to grow, a coalition of institutional investors, including the Investor Network on Climate Risk, met at the Global Investor Forum on Climate Change in Hong Kong June 13-14 to identify the financial and investment risks associated with climate change and the opportunities for investing in a low carbon future. The event was convened by the Global Investor Coalition on Climate Change(GIC), whose members collectively manage more than $20 trillion of assets.Investors and policymakers participating in the two-day gathering included UN Secretary General Ban Ki-moon, former U.S. Vice President and Chairman of Generation Investment Al Gore, and senior investment executives of many of the world’s largest pension funds and other institutional investors. The forum focuses on sharing best practices on integrating climate concerns into investment practices and on encouraging investors to engage with their portfolio companies about their own climate strategies. Ceres member companies EMC, The Co-operators, JPMorgan Chase, and Vancity have all recently released sustainability reports. Vancity has combined its sustainability and financial information into a single integrated report. Learn more about the Ceres Company Network here.